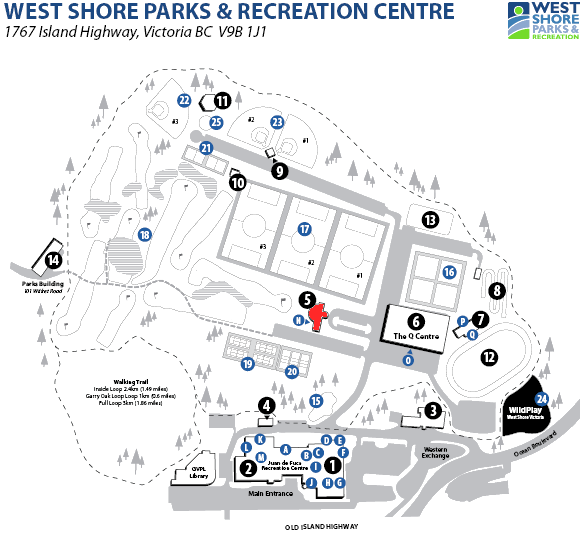 Ryan Chamberland, our Area 19/20 SFAB Chairperson, invites you to attend an SFAB meeting on Monday, March 04 at 7:00 pm at the Juan De Fuca Kinsmen Fieldhouse (Building by Golf Course/Tennis Facility, same room as Made In BC Wild Salmon meeting – see the red shape tagged with a 5, below). 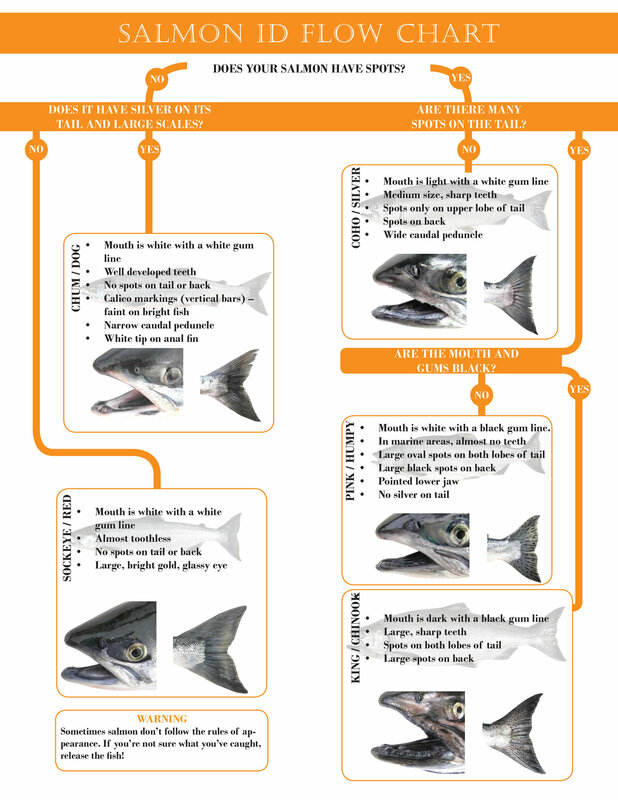 2019 Chinook Salmon Fisheries Management. New halibut regulations for 2019. Southern Resident Killer Whale Update. Prawn Reductions. DFO is recommending a 50% reduction in prawn limits. The Chair will be seeking input as what the SFAB should recommend to DFO as acceptable limit changes. Update on previous motions from Fall meetings. If you would like to receive emails regarding future Area 19/20 SFAB meetings, important notices and letters, please contact Ryan via this email. Earlier this year, the Globe & Mail published an article profiling the efforts of the volunteers at the Howard English Hatchery in Goldstream Provincial Park. The challenges faced at Goldstream are not uncommon to the many other volunteer-run hatcheries across BC. DFO has distributed information that describes the actions DFO is proposing to take to address Fraser River chinook conservation concerns in 2019. They are seeking your feedback by March 1, 2019. The table shown below, from DFO’s letter, summarizes the options they are proposing. You are strongly encouraged to provide them with your feedback. e) Aug 30 to Dec 31, 2 Chinook/day. a) Apr 1 to August 29, 1 Chinook/day (with option for terminal fisheries). b) Aug 30 to Dec 31, 2 Chinook/day. c) Aug 30 to Dec 31, 2 Chinook/day. d) Apr 1 to August 29, 1 Chinook/day (with option for terminal fisheries). e) Aug 30 to Dec 31, 2 Chinook/day. c) Aug 30 to Dec 31, 2 Chinook/day. Fraser River Tidal and Non Tidal and Sub area 29-6 to 29-10 a) Jan. 1 to August 23 , No fishing for salmon. Aug. 23 to Dec. 31, Chinook non-retention a) Jan. 1 to August 23 , No fishing for salmon. Freshwater Regions 3,5,7 &8 b) closed to fishing for salmon except in some areas where fisheries on other stocks or species may take place. c) closed to fishing for salmon except in some areas where fisheries on other stocks or species may take place. South Coast a) Fishing to FSC communal allocations as in previous years; marine FSC Chinook fisheries are largely terminal and directed at local Chinook stocks. No measures proposed for SCA First Nations chinook fisheries. A) Fishing to FSC communal allocations as in previous years; marine FSC Chinook fisheries are largely terminal and directed at local Chinook stocks. No measures proposed for SCA First Nations chinook fisheries. b) After Aug. 10, targeted chinook fishing or bycatch during sockeye-directed opportunities. BC Interior – d/s of Thompson Confluence a) Jan 1 to Aug 10, very limited impacts on chinook in communal FSC fisheries. Time or gear restrictions. b) After Aug. 10 limited selective chinook fishing or bycatch during sockeye-directed opportunities until. Later in August, targeted chinook fishing or by-catch during sockeye directed fishing. Low impact terminal harvests. a) Jan 1 to Aug 10 limited communal FSC fisheries. Time or gear restrictions. b) After Aug 10, Directed chinook fishing or bycatch during sockeye-directed opportunities. BC Interior – u/s of Thompson Confluence Note: the only chinook in the area are Spring 52 and Summer 52 chinook. Fisheries in the area constrained by preferred gear type or fishing times. Discussion required to reduce overall catch. Fisheries in the area constrained by preferred gear type or fishing times. The table of most interest to Van Isle anglers is on page 93, cited as: 15.4 Appendix 4. It is the southern BC catch stats. I add the totals together to reach a total southern sport retained catch of 418,600. Also of interest are the text write-ups for the specific stocks/rivers, which are earlier in the report and in the Table of Contents. Just click on an item, and the document jumps to it. Thank you D.C. Reid and DFO. It’s worth taking a look at the Integrated Fisheries Management Plan (IFMP) related Salmon Enhancement Program (SEP) statistics. While most people are familiar with several hatcheries in the areas in which they live and/or fish, the tables here nicely show the magnitude of the SEP across the province, and the activities at SEP facilities. And this does not include provincially managed fisheries enhancement efforts. These are the minutes of the Sport Fishery Advisory Board main board meeting with the DFO in December of 2018. A useful read if you enjoy and hope to continue to enjoy sport fishing in BC. Gives a sense of the myriad of details that make up the big picture, and some insight into DFO’s activities and concerns. Also shows the work the SFAB is doing on behalf of the recreational angler. 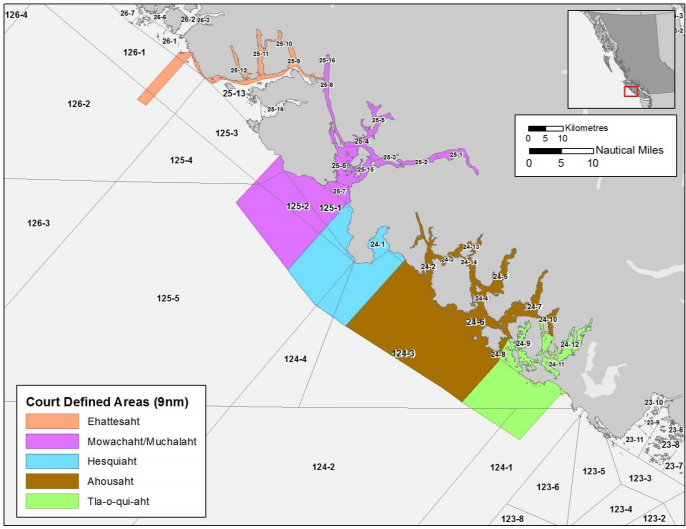 The DFO has published their initial 2019 Five Nations Multi-species Fishery Management Plan (FMP). This is a direct outcome of a court decision and order from 2018, and is the first FMP designed by DFO for the Five Nations. There is a lot of material to read and comprehend in this document. at which they expect to discuss and receive your feedback on this initial FMP. If you wish to attend the meeting in person, or would like the connection details to attend by Webex, please advise Tara Sawatsky by email at tara.sawatsky@dfo-mpo.gc.ca or by telephone at 604-666-6907. Pacific Wild has alerted us to the opportunity to provide DFO with our thoughts on the herring roe fishery. The ACS is responding in support of a reduction in this fishery that drastically reduces a key support of the food chain that, in the local ocean, leads to the southern resident killer whales. Herring are a critical food source for chinook and coho salmon and a valuable link in the food chain which supports not only these salmonids but also numerous other fish species. By extension, herring also support the salmon eating resident Orcas and other marine mammal species. The Amalgamated Conservation Society would like to see the commercial roe/reduction herring fishery curtailed but, at a very minimum, suggest that quotas be reduced by 30% coastwide – to take effect immediately. Our ACS President, Tom Cole, retired from the Royal Canadian Navy where he served as an underwater acoustics expert, has offered insights and advice to the Minister of Fisheries and Oceans Canada, the Honourable Jonathan Wilkinson. You can read Tom’s letter here, for which he awaits a response. …new regulations will do absolutely nothing to change the noise levels in these waters and will not change the inland waterway noise. time that Government and DFO finally realize that the Orcas NEED to have Large Salmon to eat. To do this they need to close all salmon fishing in the Fraser river as that is where all the damage is being done to the brood stock that carries the Gene pool for these large Chinook. DFO Pacific Region Stock Assessment staff have released their preliminary outlook for salmon returns in 2019. A total of 91 Outlook Units (OUs) were considered with 82 OUs receiving an outlook category assignment. Eight (8) OUs were data deficient (ND), and one (1) Pink OU was not applicable given that 2019 is the off-cycle year for this group (NA). Sixteen (16) Outlook Units are expected to be at or above target abundance (categories 3, 3/4, 4), while 39 are expected to be of some conservation concern (categories 1, 1/2, 2). The remaining 27 Outlook Units have mixed outlook levels (categories 1/3, 1/4, 2/3, 2/4). Overall, the outlook for 2019 has declined relative to the previous outlook (2018 for most species but 2017 for Pink Salmon). Five (5) Outlook Units improved in category (Sockeye: Somass, WCVI-Other, Skeena-Wild; Chinook: Alsek; Coho: WCVI). Twenty-five (25) units declined in category (Sockeye: Early Summer – North Thompson, South Thompson, Mid and Upper Fraser, Summer – Late Stuart, Nechako, Quesnel, Harrison, Raft, Fall – South Thompson, Birkenhead, as well as Okanagan and Coastal Areas 3 to 6; Coho: Area 3, Haida Gwaii – East (Area 2 East), Skeena, Skeena – High Interior; Pink: Fraser, Georgia Strait – East, West, North Coast Areas 3 to 6; Chum: Fraser River, Johnstone Strait Area and Mainland Inlets, Coastal Areas 5 & 6, Areas 7 to 10, Yukon). The entire document may be read here.